Amazon is reported to be working on a DVR device capable of live TV recording to help you catch up on your favorite TV shows. Up until now all of Amazon’s content was focused on pre-recorded streaming, but with a DVR device in the works, the tech giant may be moving to live TV as well. The device is codenamed Frank internally and will come with local storage for saving recordings. Amazon is dominating e-commerce market, and its Fire TV devices and Alexa smart assistants are making it into millions of homes across the world. The e-commerce giant is not done yet with a slew of devices scheduled for launch, and one of them is a device codenamed ‘Frank’ which will offer DVR services. It will include the same wireless tech that is available in the Amazon Echo speakers and will come with internal storage to save recordings. Other than recording your favorite TV shows and movies, the new Amazon device will also allow you to stream content to your smartphone and other devices which puts it directly in competition against devices like Sling TV and TiVo. With the brand already establishing a strong foothold in living rooms all over the world, it seeks to dominate the DVR market as well according to news reports. While the Fire TV devices managed to carve out their own niche, the new device from Amazon will head into fierce competition in an already established market. Most apps and services stream content right from the cloud, and it remains to be seen how much of a market a device that captured video on a physical disk can seize. It is unknown how much the new device will have in common with the existing lineup of Fire TV devices as well. 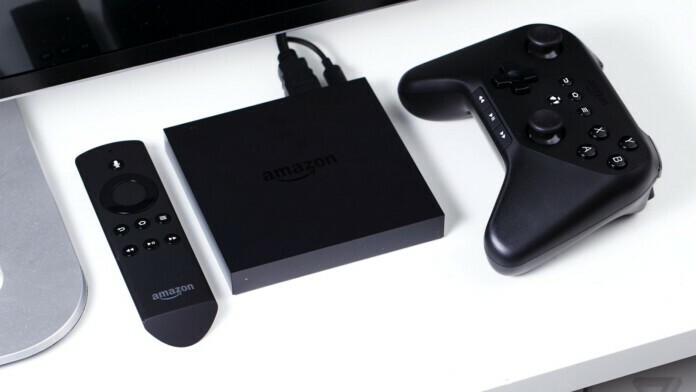 It is also rumored that an update to the Fire TV is in the works which will allow users to save TV shows and movies to an external storage device by simply plugging in a hard drive or USB drive using the USB port. What do you think of Amazon’s upcoming DVR device? Let us know in the comments below. Also, to get instant tech updates, follow TechNadu’s Facebook page, and Twitter handle.